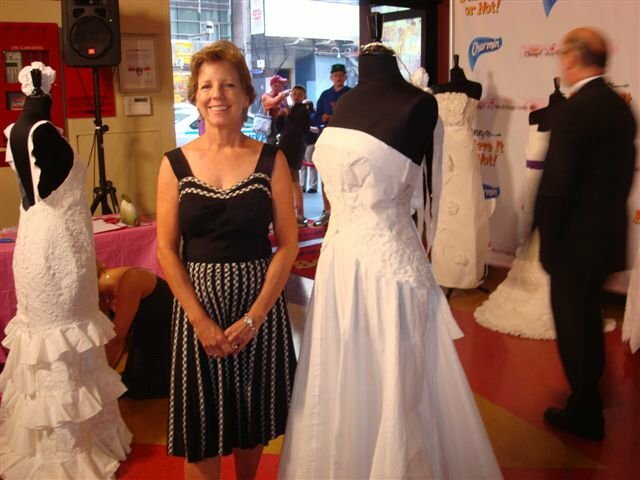 I had never heard of this contest before, but evidently it was the 4th annual Toilet Paper Wedding Dress contest that took place on Friday, June 20th at the Ripley’s Believe It Or Not in New York City’s Time Square. 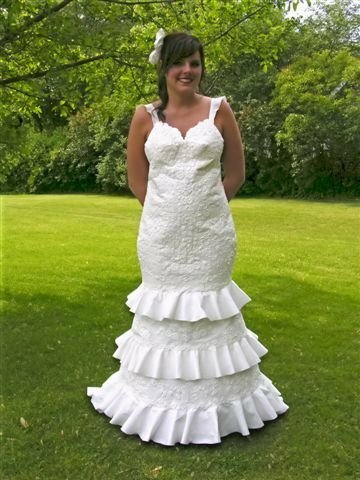 The winner, Katrina Chalifoux created a lace wedding gown with 7 rolls of Charmin toilet paper! Lace! It looks pretty amazing for toilet paper, glue and tape. Here’s her niece modeling the winning gown. Second place went to Terri Glover. And third place to Ann Kagawa Lee, an attorney from Hawaii and California. The gowns are on display at Ripley’s all across the country for the next year. I may have to check for a San Francisco appearance. Maybe I can pick up a few tips for the next time I have to play this game at a bridal shower. Photos courtesy of cheap-chic-weddings.com, one of the sponsors of the contest. Beau-coup’s Favor-ite Photo Contest – Win $200!